Juddmonte announced the mating plans for some of its most high-profile European broodmares for 2019. Juddmonte will be supporting its newest addition to the stallion roster, Breeders' Cup winner Expert Eye, with 12 mares, eight of which are black type performers or producers. They include the Group 3 winner Mirabilis (dam of Monarchs Glen) and listed winners Entree, Emergency and Zaminast (herself a half-sister to group winners Famous Name and Big Break). Seven of the mares have already produced 2-year-old winners, including Lilyfire (dam of 2018 G2 Duchess Of Cambridge Stakes third place-runner Chaleur) and Ombre (the dam of dual group-placed 2-year-old Gavota). As has been the case throughout his career, Juddmonte is supporting Kingman with a top-class group of mares – including the G1 winners/producers African Rose (dam of Fair Eva), Promising Lead, Proviso, Ventura, and Winter Sunrise (dam of Winsili). Other black type winners/producers in Kingman's book include Arizona Jewel (dam of Desert Diamond), G3 winner Big Break, Deliberate (dam of G2 winner Projected), Listed winners Mirror Lake (dam of Imaging) and Rostova, Very Good News (dam of Weekender), and the dams of two of Kingman's most promising prospects, Calyx and Sangarius. 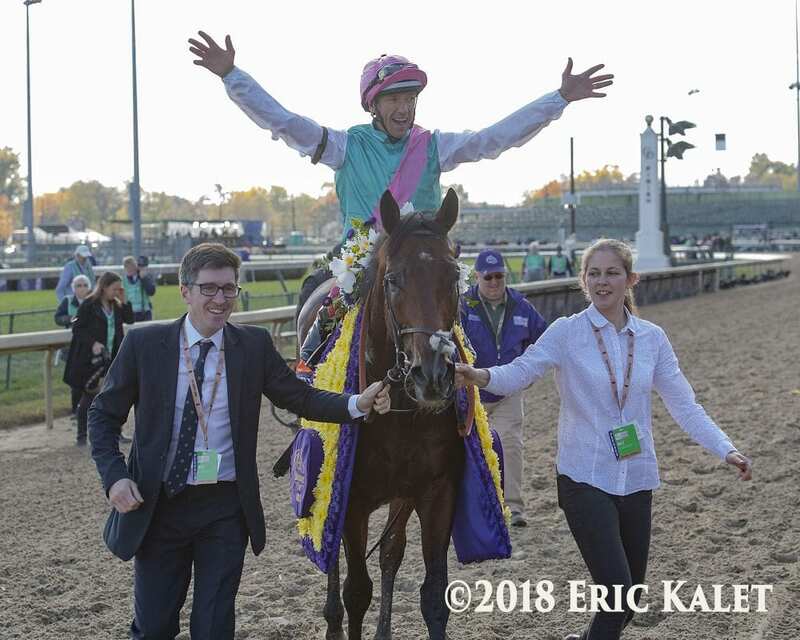 Enable's dam Concentric will visit Frankel in 2019 along with the G1 winners Emollient, Heat Haze (dam of Mirage Dancer), Proportional, Samba Inc, Special Duty and Union Strike. Newspaperofrecord's listed-winning half-sister Classical Times is also in Frankel's book, along with group performers/producers Lucky Kristale, Modern Look (dam of Grand Jete), Principal Role, Visit and Vote Often. Oasis Dream enjoyed a fantastic season in 2018, siring two new G1 winners to take his lifetime tally to 17, which also includes the Juddmonte homebreds Midday and Prohibit. Amongst the Juddmonte mares in his book this year are Shared Account, dam of his 2018 blacktype 2-year-old Sand Share, and Straight Thinking, a multiple group-placed half-sister to G1 winner Announce. Dansili's son Bated Breath meanwhile is covering Showcasing's winning-sister Palmette, listed winner Kilo Alpha, G1 winner Nebraska Tornado's winning daughter Aspirer and the winning Galileo mare Solar Pursuit (herself a half-sister to two G1 winners). Other matings of note include Frankel's dam Kind and G2 winner Starformer (dam of promising pair Tankerville and Flavius) visiting Galileo; Gr.1 winner Romantica, Midday's listed-winning daughter Mori and the G3 winners Shutter Speed and Grand Jete visiting Dubawi; Shutter Speed's dam Photographic visiting Cracksman; Frankel's half-sister Joyeuse visiting Dark Angel; and Expert Eye's dam Exemplify is visiting Invincible Spirit. G1 winner/G2 producer Passage Of Time will visit Lope De Vega along with G2 winner Riposte (a half-sister to Kind) and G3 winner Suffused; Midday's group-winning half-sister Hot Snap will visit Kodiac; G1 winner Timepiece visits Siyouni and G1winner/producer Banks Hill visits Ulysses. This entry was posted in Bloodstock and tagged African Rose, bated breath, Classical Times, Concentric, emollient, expert eye, Frankel, heat haze, Juddmonte Farms, kind, kingman, mating plans, Oasis Dream, Shared Account, Union Strike by Edited Press Release. Bookmark the permalink.